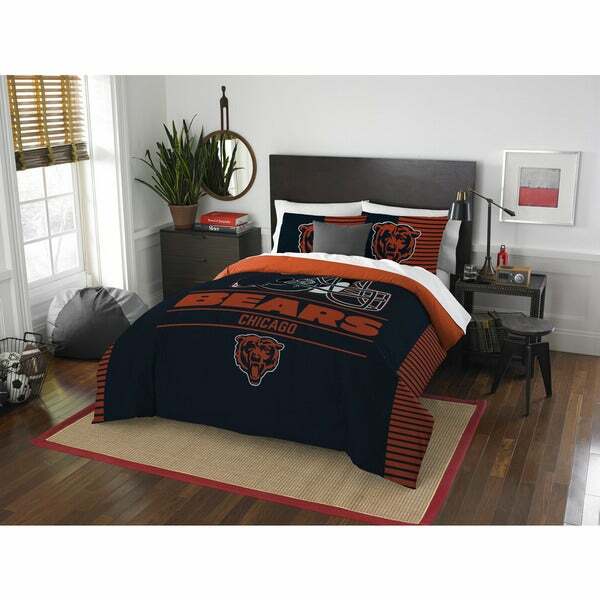 Enjoy comfort and style with this Chicago Bears comforter set. The bold logo is emblazoned on the comfort and pillow shams, making a bold statement. Polyester materials provide comfortable warmth and easy maintenance. I got one of the Bears comforter for my son. He opened the gift and he just jumped up and down in astonishment. Any kid who loves the NFL team need to get one these. The look on my son's face will be with me forever. I bought this for my brother who is a huge Bears fan. He loved it, it was soft and fluffy and a fit great on his bed. He'll be dreaming of Bears wins now! My husband is a huge Bears fan!! This is perfect for his man cave! !